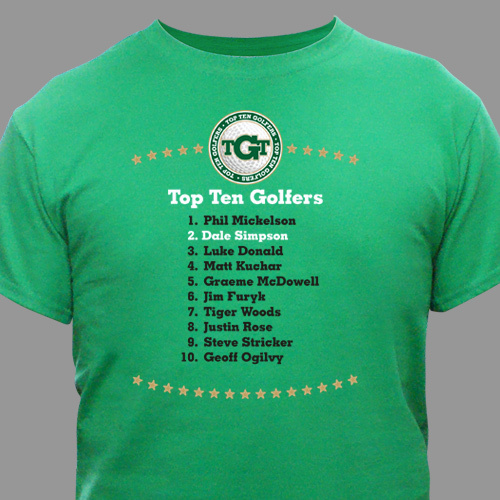 Regardless of skill level, you're golfer will feel like he belongs with the big boys with this custom Top Ten Golfers Personalized T-Shirts, complete with his name at No. 2. This green golf Personalized Shirt are made of premium 100% cotton and available in adult sizes S-3XL.